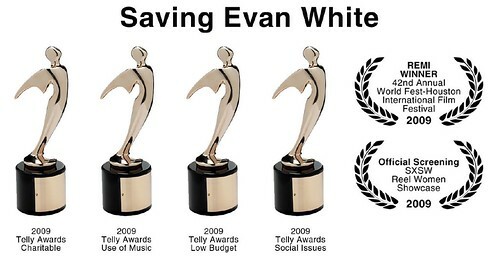 The documentary short “Saving Evan White” captured critical acclaim at this year’s 30th Annual Telly awards and the Lone Star EMMY awards. Houston producer/director Karen Aptekar’s film won Bronze Telly awards in four categories in March. The award categories included: Social Issues, Low Budget, Charitable/Not for Profit and Use of Music. Founded in 1978, the Telly Awards is the premier award honoring outstanding local, regional, and cable TV commercials and programs, the finest video and film productions, and online film and video. The Telly Awards annually showcases the best work of the most respected advertising agencies, production companies, television stations, cable operators, interactive agencies, and corporate video departments in the world. The Telly Awards receives over 13,000 entries annually from all 50 states and countries aroun d the world. “Saving Evan White” is also a Lone Star EMMY Advanced Media nominee. 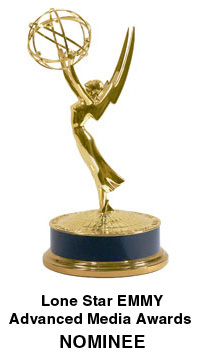 This EMMY recognizes creative and innovative approaches to the practice, presentation and delivery of news and programming material. They are intended to recognize new ways of doing documentaries, broadcast journalism and entertainment, from new approaches to traditional broadcasts, to the use of new media (associated websites, interactivity etc. ), to other creative and innovative means of practicing these crafts and presenting programming to the viewer. In addition, Aptekar won a Bronze Remi Award for Creative Excellence at the 42nd Annual WorldFest-Houston International Film & Video Festival in April. Competing against more than 4,300 entries in the nation’s third oldest North American film festival, Aptekar’s film captured a film and video production award in the “Social/Economic Issues” category. 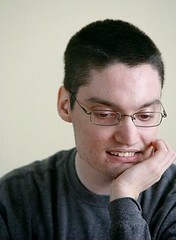 This is Evan White’s story: born with a rare chronic illness, Evan has reached the age of 21. He’s made it to adulthood thanks to the love of his parents and the care of nurses who come to his home each day. But in Texas, once he’s an adult, his medical benefits end. Goodbye home nursing. In her documentary short “Saving Evan White”, Houston filmmaker Karen Aptekar told the story of the crucial choices that Evan, his parents and hundreds of Texas families face when our medical system says: we’ll take care of you if you’re a child, but not if you’re an adult. Karen Aptekar is a Canadian born independent Director/Producer living in Houston Texas. Prior to coming to Texas Karen worked for the advertising agency Wells Rich Greene in New York producing radio and television commercials as well as independently producing and directing documentary films.